Online Voice Recorder is one of the most popular way of voice recording and a common act perform by many people nowadays online. This is due to the fact that if a individual watch video and listen to the voice that make more impact on that individual rather than reading the same words. So most of the people believes in recording their voices to deliver their message to the mass people. So if you are one of them and looking for a free online voice recorder then here is a list of best free online voice recorder where you can easily record your voice absolutely free. Record your audio online with Apowersoft for free on Windows OS or Mac PC. It is easy to use and it can record any voice that can be audible. You can record your voice with the help of various audio devices like: Microphone, system sound or both of them. Vocaroo is a premier voice recording service which one can use not only to record voices but also the easiest and quickest way share voice over the interwebs. The good thing about this service is that it also let you upload your pre-recorded voice. Muziboo provide an online recorder that allows you to record your audio. This is flash based application so you need to have flash installed in order to record your audio through this tool. Online Voice Recorder is a simple and free to use web service that let you record sound from your microphone. Once you done with recording your voice, you can trim the sound and save it to your hard drive. Chirbit is very useful tool that allows you to record your voice/audio and you can upload your voice as well as share it on different social platforms. You can easily record your voice/audio using a webcam or microphone which is connected to your computer and then share it with your friends easily. Soundation is a powerful online tools that allows you to record your voice and mix it in their studio as desired. You can make music with your friends too using Soundation. SpeakPipe voice recording tool lets you create the audio recording right from the browser with the help of your microphone. You will find an option to save your recording on the SpeakPipe server and also get a link to it. You can use this link to share your recording with your friends via email or use on the web. Record Mp3 Online is another free to use voice recording web tool. 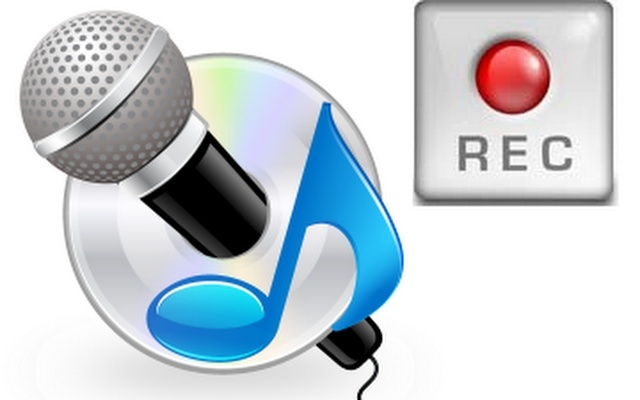 You just need to click on the record button and once you done recording your voice an audio player will appear. You can download the file and share it where ever you want to share5. Dictaphone is a Java based online application that allows you to record your voice for free and you can save it in your local system easily. Also you can listen to the voice you have recorded easily. AudiBoo is one of the most popular brand that is work with most of the biggest sports brands in the industry like: NFL clubs, English Premier League, etc and major broadcasters such as Southern Cross Austereo, YEA Networks & the BBC. Online Audio Recorder by Apowersoft is another good option to record your voice online for free. The thing which you will really love about this service is that it’s very easy to user and let your record any sound that you can hear. It also let record audio files from various audio inputs which include microphone, system sound, and both microphone and system sound. AudioExpert is a simple online audio editor, file converter and an awesome sound recorder. You can use this tool to create a ringtone for your phone, record your voice, convert an audio into another format and much more. Voice Spice is another good online voice recorder and message sharing website that let you record your voice or message which you can share it with your friends via different social media sites like Facebook. AudioPalAudioPal is an awesome voice recording tool that allow you to record your voice and play it on your website to gain visitors attention. They can provide a widget that allows you to gain attention who visits your website online. SoundCloud is one of the most popular and well known website where you can easily upload your voice and share online with friends or on any social media platform/website. Voice Recorder by Toolster is another awesome service that let you record your voice online using microphone or webcam. The recorded voice can be edited and one can download as a mp3 file. This service is available for free with no registration required. You can even listen to your recording before download it. RecordMp3Online is very simple and popularly used free online voice recorder, which not only allow you to record your voice but also to download it in mp3 format and then finally upload it to your drop box if you want to. So you need to press the record button in order to record your own voice. If in case you are android or windows user just needs to click the record button and can record either video or audio. It will convert into mp3 file automatically. SpeakPipe is a online voice recorder which will work not only on android devices but also this online voice recorder is completely free and compatible on all ios devices. In voice recorder Speak Pipe there is an option to save your voice on its server itself and get link so that you can e-mail your voice to yourself for future use. It mainly allows you to create an audio recording by using microphone or any other available device right from browser.